Beat The Bucket is unlike any rental game you have ever seen. More interaction, increased competition, and a twist of technology have helped to create a unique experience for all involved. 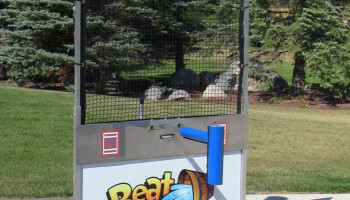 In almost all water games, a single player stands or sits while a second player tries to hit a target that will dump, dunk, spray, or splash them. Unfortunately for the victim, there has been no means of defending themselves…until now. 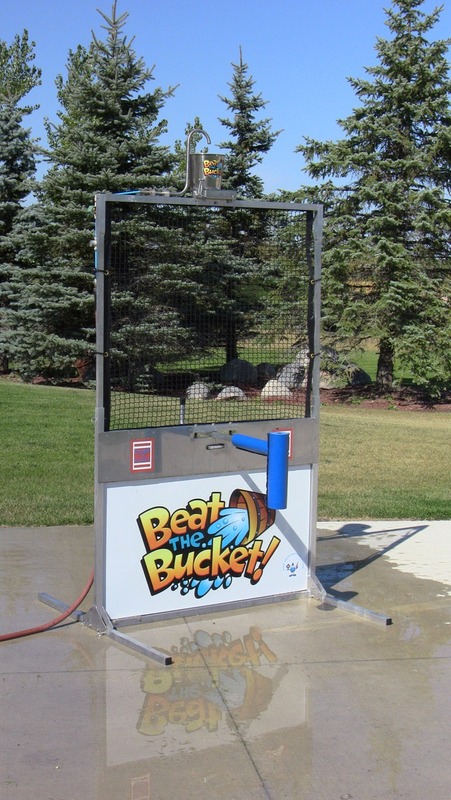 Beat The Bucket allows a player the opportunity to control their fate, provided they have the reaction time and skill to do so. A single player stands behind the station and with the aid of a blocking arm, can defend the two targets from being hit. 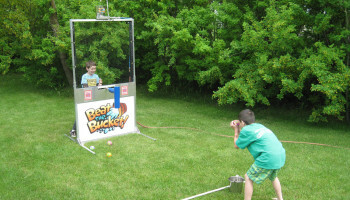 A second player throws water-logged balls (or Juggle Balls, Tennis Balls, Nerf Balls) while trying to hit the 2 targets. If the player using the blocker can act quickly enough, they can stop the ball from hitting the target. 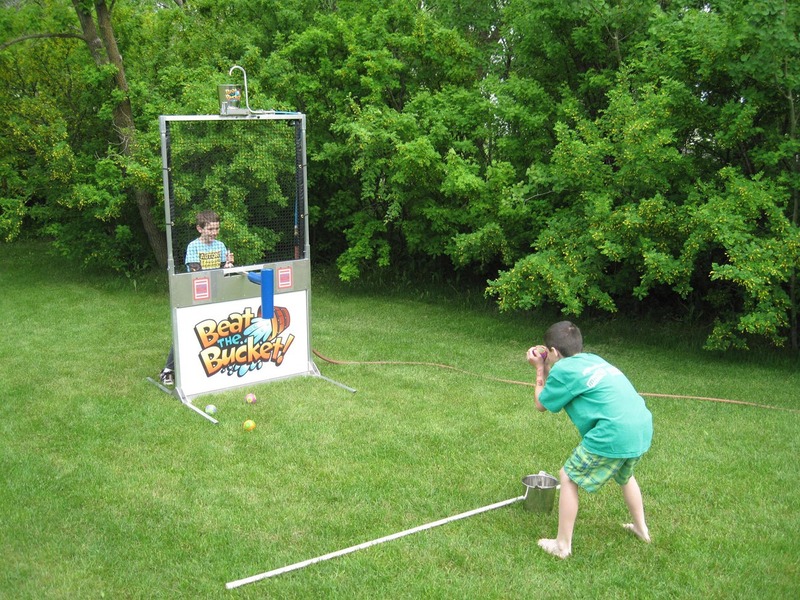 However, should the ball happen to strike a target, a cool, refreshing bucket of water is dumped from above. The bucket then automatically resets and fills with water, ready for the next defender. Take turns at birthday parties or wind-ups, or find that high-profile celebrity willing to play for your next fundraiser. How quick is your reaction time? Try it and find out!